Bill now moves to Appropriations Committee. 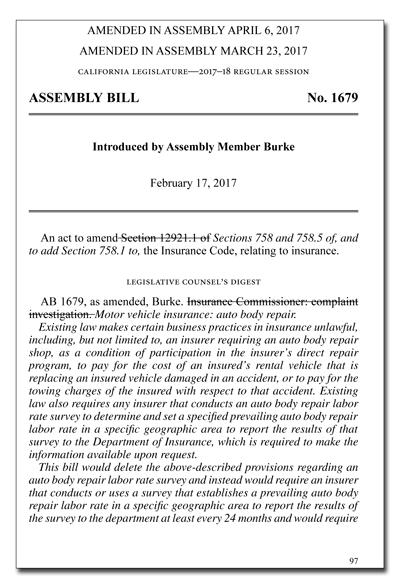 At a hearing on April 19, the California Assembly Insurance Committee approved Assembly Bill 1679 (AB 1679) that seeks to overturn California Department of Insurance (CDI) anti-steering and collision repair labor rate regulations that took effect in March. The bill passed by a unanimous 13-0 vote during the hearing.